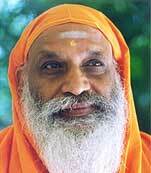 Swami Dayananda Saraswati was born as Natarajan on August 15th, 1930 in a small village called Manjakkudi in Tiruvarur District, Tamilnadu, India. Although he went through the routine of acquiring education and pursuing a career, the voice within impelled him to seek the ultimate truth of existence. With the grace of teachers like Sri Swami Chinmayananda, Sri Swami Pranavananda and Sri Swami Tarananda Giri and after a number of years of intense study in a traditional ashram in Rishikesh, he ultimately succeeded in assimilating the vision and the wisdom revealed in the ancient scriptures. 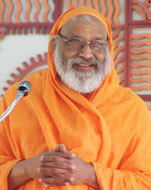 Swami Dayananda’s unswerving commitment to the vision of Traditional Vedanta is now recognised throughout the world: many thousands of aspirants have benefited from the depth of his understanding and the clarity and humanity of his teaching through teaching institutes established in India and the US in the 1960s. The teaching, which continues to be offered, is a link in a long unbroken tradition of instruction from Adi Shankara to the present day. Swamiji conducted regular residential courses at the centres with the focus on the Bhagavad Gita and the ten principal Upanishads as commented upon by Adi Shankaracharya. These and selected ancillary texts were analysed and taught by him along with Sanskrit grammar in the Paninian style. Such texts continue to be taught, along with Vedic chanting, by his many disciples. We do not say there is only one God, we say there is ONLY God. Based entirely on the traditional insight of great sages, yet contemporary in his approach, Swami Dayananda continuously adapted his teaching style to ensure that the vision of Vedanta was clearly communicated and relevant to the needs of the modern world. Impeccable logic, brilliant analysis, erudition, precise use of language, together with a child–like sense of humour, made him the greatest contemporary master of Traditional Advaita Vedanta. His teaching was unequivocal: “We do not say there is only one God, we say there is ONLY God. Nothing is secular, all that is here is Isvara, the Lord.” He taught the perennial wisdom that has existed since the beginning of time: “You are the whole. Yet you feel small, limited and insignificant. This is only because you may know that you are, but do not know what you are. Knowledge is the only remedy for this ignorance. For this you need a teacher who is versed in scripture and established in the vision of the unity that is reality.” In simple language like this, profound wisdom was communicated. Swami Dayananda did not believe in a centralised organisation but encouraged his many disciples and devotees to think for themselves, to be who they are. He said: “Only when we give freedom to others, are we really free.” His simple ability to communicate profound truths inspired each person to give of their best. He saw the teacher’s role as being to share the vision they have so that it becomes the vision of their students. Listening to the words of the scriptures, unfolded by a qualified teacher is the highest discipline. Swami Dayananda’s work was not restricted to teaching Vedanta, but led him into areas that had an impact on humanity as a whole. He believed that all cultures should be preserved, nurtured and appreciated. His anguish at the loss of great past civilisations such as the Egyptian, Greek, Aztec and others, made him intensely aware of the need to nurture the diversity of human culture that exists today. He considered all cultural forms to be valid and deserving of respect, which led him to declare in July 1999 that religious/cultural conversion, in any form, is violence. It was a profound and all–embracing statement that has been endorsed in universities and among other spiritual thinkers and leaders throughout the world. You are the whole. Yet you feel small, limited and insignificant. 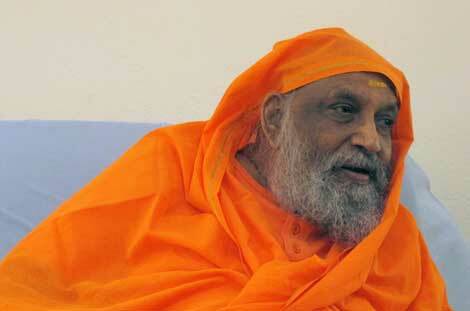 At the Faith in Human Rights conference at The Hague, Netherlands, in December 2008, for example, Swami Dayananda, represented the Hindu faith, was instrumental in ensuring the insertion of a clause that stated: “We consider the freedom to have, to retain and to adopt a religion or belief of one's personal choice, without coercion or inducement, to be an undeniable right.” It was a significant amendment that would extend human rights in the area of faith and was signed by leaders of all the major religions of the world. 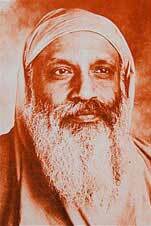 In India he was instrumental in bringing together the heads of the major Hindu traditions to form the Hindu Dharma Acharya Sabha (Council for the Teachers of Hindu Tradition) a first in the history of this religion. Travelling tirelessly across the country, personally meeting the heads of the various mathas (monasteries), he convinced them of the importance of establishing a unified body that would be the official voice of Hinduism. The Hindu Dharma Acharya Sabha is the apex unifying body that provides leadership, guidance and a collective voice for Hindus. It came into being in 2002 and has grown into a body comprising virtually all the ancient sampradayas (traditions) of Hindu Dharma with a current membership of over 125 acharyas (teachers). The members are revered Heads of mathas which are many hundreds of years old and include the Shankaracharyas and chiefs of all major seats. The Acharya Sabha has become widely known within India and overseas and now has regional committees comprising smaller groups of acharyas, each with its own convener, while HH Swami Dayananda Saraswati was the convener of the apex body. At the Council's first meeting he ensured that the spiritual heads received due respect by providing them with appropriate seats on the dais while he sat below, recording the proceedings. It was a humbling moment for those who knew and revered Swami Dayananda, for it showed how lightly he carried his influence. He never projected himself because he had no personal agenda. His main concern was only to strengthen Hindu dharma. As convener of the Council and in his independent capacity as a thinker, writer and master of Vedanta, Swami Dayananda spoke at various international forums, including the United Nations Millennium Summit of World Religions in 2000. A person who consumes the least and contributes the most is a mature person. 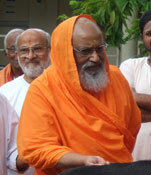 The year 2000 saw a further expansion of Swami Dayananda's activities into the area of community and social development. In November he founded the All India Movement (AIM) for Seva to bring value–based education and healthcare to the least privileged sections of Indian society. Value–based education teaches how to become a contributor to society and not just a consumer: “A person who consumes the least and contributes the most is a mature person, for through giving lies self–growth,” declared Swami Dayananda. AIM for Seva has reached out to more than 10 million people across 15 states of India. Today it supports 95 free student hostels, six educational institutions and six healthcare facilities, and is the subject of a teaching module on social entrepreneurship at an American business college. At Manjakkudi, Swami Dayananda's birthplace, devotees have been inspired to develop a model for rural education. Thousands of students from more than 125 villages go there to study in one of three institutions set in the midst of lush green paddy fields and administered by the Swami Dayananda Educational Trust. Another initiative is the movement for the protection of the Hindu tradition, Hindu Dharma Rakshana Samiti, that helps to preserve and spread awareness of the richness of Vedic culture. 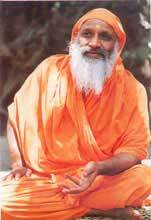 Swami Dayananda believed that a strong presence and appreciation of Hindu dharma is essential for religious and cultural harmony, world peace and understanding. His interests embraced every aspect of Indian culture and tradition: sculpture, dance, music, painting, Vedic studies, chanting, astrology, preserving manuscripts in digital format… the list is endless. We consider the freedom to have, to retain and to adopt a religion or belief of one's personal choice, without coercion or inducement, to be an undeniable right. He composed many ‘Kirtis’ in Sanskrit, subsequently performed by eminent Carnatic musicians. Rich in content and filled with the spirit of devotion, the words reveal the vision that is Vedanta. He instituted the ‘Arsha Kala Bhushanam’ award to honour musicians who have significantly contributed to the promotion of Carnatic music. More than thirteen senior musicians have received this award. Deeply concerned with the environment and ecology, Swami Dayananda addressed global warming issues by pointing out the negative impact of rearing animals for human consumption, in particular the production of methane by cud–chewing animals. Whether it was planting trees, growing herbs, organic gardening, providing water and electricity to remote areas, women's self–help groups, vocational training, together with his specialised field of teaching, speaking and writing, the genius that was Swami Dayananda was a unique phenomenon. He did not seek publicity nor did he encourage his disciples and devotees to do so. Ever alert to the needs of people, he found ways to help, no matter how small or serious the problem. A true leader, he worked behind the scenes, gently encouraging the talents and skills of people with whom he came into contact. If compassion, intellect, erudition and wisdom imbued with an endearing humbleness could ever have been said to have taken a human form, then it would certainly have been Swami Dayananda Saraswati. He travelled extensively spreading the message of the ancient rishis of India, convinced that the Vedic vision is as essential and valid today as it was thousands of years ago. He attained Brahmaikyam in his Rishikesh gurukulam on the banks of the Ganges in September 2015.